With the clocks going back and the night’s well and truly drawing in, October is the month to start hunkering down and getting ready for the winter days ahead. 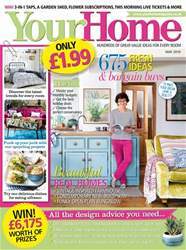 In this issue we’ve got plenty of great ideas to inspire you to cosy up your home. On page 20 we take a look at this season’s autumn blush trend. This palette of warm rose-tinted hues is a seasonal take on the pink that has dominated home interiors over the summer and is ideal for creating a snug feel that’s perfect for living rooms and bedrooms. 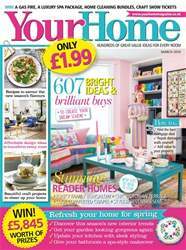 Talking of living rooms, if you’re thinking of treating yours to a new sofa, then make sure you check out our buyer’s guide on page 42 to ensure you choose a model that’s just right for your home. With the nights getting ever longer at the moment, now is the perfect time to think about how you illuminate your rooms. 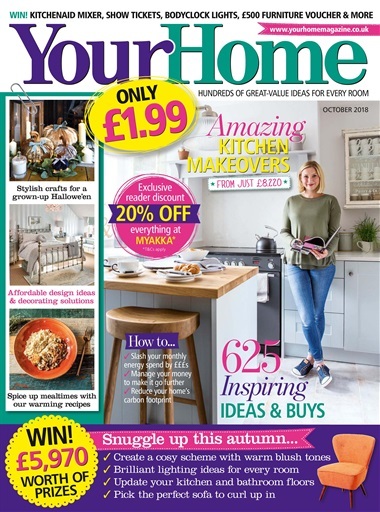 The right lighting can make or break a space, so we’ve teamed up with a panel of lighting experts to give you ideas and solutions to help transform your home for autumn (p.36). October sees the shops filling up with Hallowe’en goodies, so if you’re planning on a party for fright night, check out our brilliant craft projects (p.60 and p.64) to make yours stylish as well as spooky. 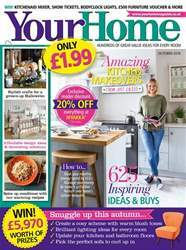 And, if you’re looking for inspiration for food to serve, for a Hallowe’en party or just a supper with friends, then do try our delicious autumnal recipes on page 100 – they’re full of warming spices and fragrant flavours. 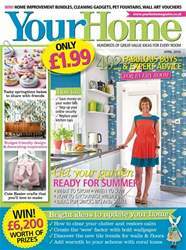 Finally, don’t forget to take advantage of our exclusive 20% reader discount at Myakka (p.117).